Gnarly Routes is a riding experience that offers guests a riding vacation they will never forget. Co-founders, Russell Bobbitt and Cole Kirkpatrick started Gnarly Routes after spending years traveling with each other in search of the ultimate riding experience. They wanted to give other riders the chance to get a taste of the adventures that they have found from decades of riding motorcycles. Gnarly Routes enables riding enthusiasts to rent the latest generation trail bikes and fly to hand-picked riding destinations that meet Russ and Cole's high standards. Gnarly Routes tour packages include a three-day bike rental (250 XC-W TPI or KTM 350 EXC-F), lodging, and breakfast and lunch on the trail. Dinner will be separate and vary depending on tour location. Our tour riders are past and current professional racers and experienced back country trail riders. They have vast knowledge about the equipment ridden in each tour and understand that each participant has different needs and will accommodate each and every rider so that they have an unforgettable experience. Both Russell and Cole are First Aid and CPR certified and carry spot trackers and a satellite phone on every tour. 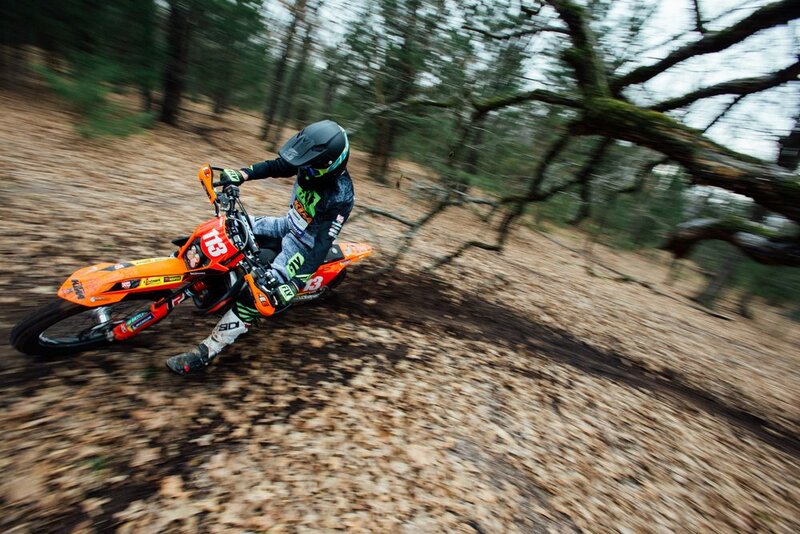 Cole is a former national level racer turned cinematographer that still has a deep passion for off-road riding. Since starting his own video production company in 2013, he has stayed in the motorcycle industry and creates content for various manufacturers and brands. You can be sure that Cole will be capturing video and photos of each tour so that you can relive the memory for years to come. Russ is a five-time national enduro champion that has been competing on the national enduro series circuit since 2005. His job for more than a decade has been to go as fast as possible all over the United States. During his off time from racing, Russ has always planned epic trips and recently has completed several tours in places like Romania, Costa Rica, and Colorado. Gnarly Routes gives you the chance to ride with one of enduro racing's top athletes in a fun and relaxed atmosphere.